Toronto Real Estate Blog - GTA News : Mississauga Open House This Saturday and Sunday In The Credit Woodlands Area! Great Location At Dundas/Erindale! Minutes To U of T Mississauga! Dundas/Erindale, Mississauga - We invite everyone to visit our open house at 1191 Forestwood Dr on June 2 and June 3 from 2:00 PM to 4:00 PM. Mississauga Home for Sale in Erindale Location ! Beautifully Updated 4 Level Backsplit In Desired Credit Woodlands. Gorgeous Hardwood & Ceramic Floors. Professionally Renovated Kitchen With Pot Lights & Quality Stainless Steel Appliance. Gas / Electric Stove With 2 Ovens! Stylish Living / Dining Rm With Crown Moulding & Pot Lights. Large Family Room With Fireplace & Walkout Patio. 3 Great Bathrooms! 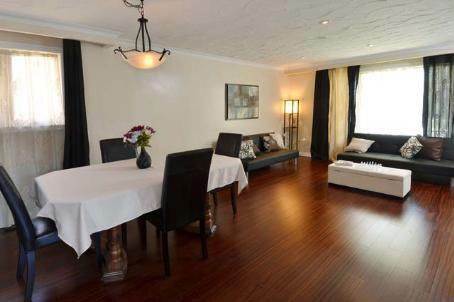 Close To Erindale Park, Go, U of Toronto Mississauga Definite Must See! Walk to Westdale Mall, Erindale Mall and the Credit Woodlands Gold Course! Click the Virtual Tour for Photos ! Thinking Of Moving? Think Sutton!